Dr. Buford has been in practice in Dallas for 19 years and has been voted multiple times by Dallas area physicians as one of the best orthopedic surgeons in the annual D Magazine “Best Doctors” issue. Dr. Buford grew up in Los Angeles and attended Stanford University. While at Stanford, he was a member of the baseball team and had a double major in economics and pre-med. He then transferred to USC where he continued his athletic and academic pursuits. In 1988 he received the Woody Hayes NCAA Division I Academic All-American Award which recognized the single most outstanding NCAA Division I male student-athlete. After graduation from USC, he signed his first professional baseball contract with the Baltimore Orioles and also enrolled at UCLA Medical School. Dr. Buford played professional baseball as a second baseman and outfielder in the Baltimore Orioles organization for 4 years. Dr. Buford’s father, Don Sr., played for the Chicago White Sox (’63 -’68) and the Baltimore Orioles (’68-’72) and played in 3 World Series, winning in 1970 over the Cincinnati Reds. Don Sr. is in the Orioles Hall of Fame. Dr. Buford’s younger brother, Damon, had an 8 year major league career which included 2 years as the starting center fielder for the Texas Rangers as well as time with the Boston Red Sox, Baltimore Orioles, NY Mets, and Chicago Cubs. After graduating from the UCLA School of Medicine, Dr. Buford completed a 5 year orthopedic surgery residency at the University of Texas, Southwestern in Dallas. 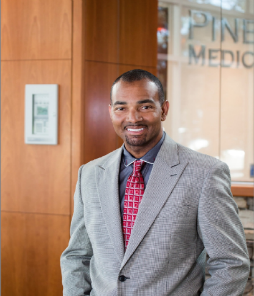 Dr. Buford also completed a one year sports medicine fellowship at the prestigious Southern California Orthopaedic Institute (SCOI) in 1999 where he learned advanced arthroscopy techniques and started to focus on arthroscopic shoulder surgery. Dr. Buford specializes in arthroscopic shoulder and knee surgery and is very involved in surgeon education and new product development. He has served on the Arthroscopy Association of North America (AANA) Education and Admissions Committees. He lectures nationally and internationally on arthroscopic shoulder surgery topics and has published many articles and book chapters on shoulder surgery. He has also been a reviewer for the Journal of Shoulder and Elbow Surgery. He has also appeared on Fox News in the Dallas area and on the Good Morning Texas television show. 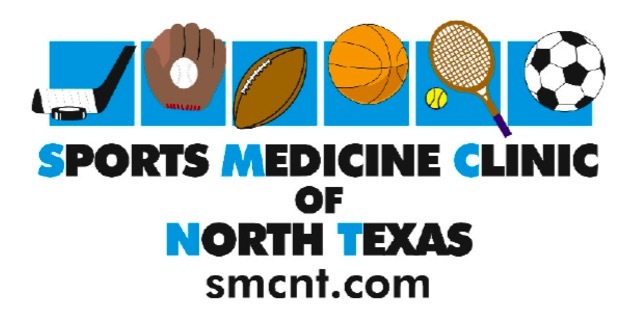 Dr. Buford founded the Dallas PRP and Stem Cell Institute (Dallas PRP And Stem Cell Institute) to provide patients with cutting edge PRP and stem cell options for arthritis, back pain, sports injuries, and other musculoskeletal conditions. We continue to refine the indications and treatment standards for using orthobiologics in musculoskeletal conditions. Our ultimate goal is to maximize our patients’ quality of life and minimize their disability from any musculoskeletal condition. The Las Vegas Orthobiologic and MSK Ultrasound Course is a biannual training course chaired by orthopedic surgeons (Don Buford, MD and Ben DuBois, MD) and has been attended by over 1000 clinicians over the past 9 years. The Las Vegas Orthobiologic and MSK Ultrasound Course website is www.orthosono.com for more information about upcoming January and July course dates. Dr. Buford also posts surgical procedures and training videos on youtube on his own dedicated channel. His youtube channel is currently ranked the #6 orthopedic channel by one web site, with nearly 1000 videos and over 550,000 views. The youtube channel videos focus on arthroscopic surgery, MSK ultrasound, orthobiologics, Platelet Rich Plasma, stem cell (from bone marrow) use in orthopedics, patient testimonials, and talks on sports medicines issues.